With the P3 Cars Integrated Vent Digital Gauge for MK6 GTI/Golf R, you'll have all the performance data from your car at your fingertips in an easy to install design that fits perfectly in the factory air vent. The digital displays illuminate in red to match your interior or optional Blue / White for Golf R and Red / White for Golf GTI models. Get yours today! 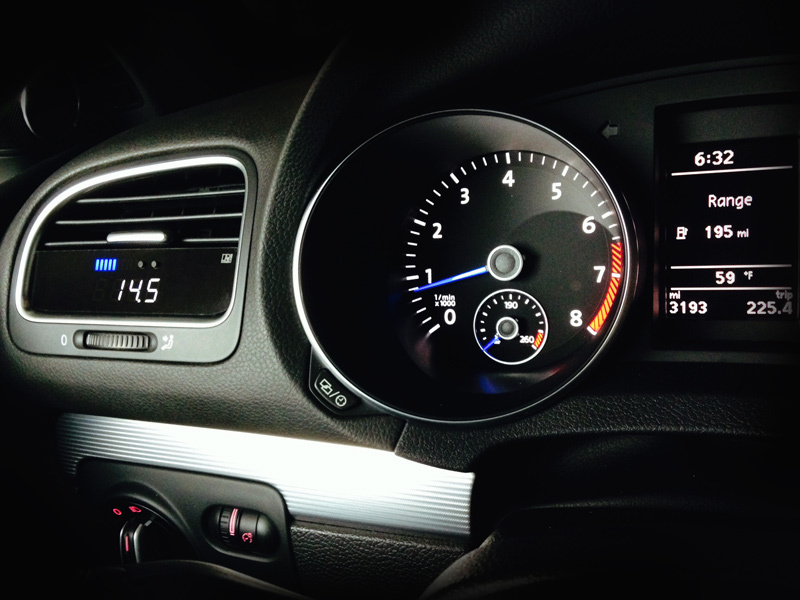 P3 Cars Vent Integrated Digital Gauge for VW MK6 GTI/Golf R is the best performance gauge that maintains factory styling. Looking for an all-in-one diagnostic and performance tool for the MK6 VW GTI/Golf R, but don't want to spend the money on a lot of expensive gauges? The P3 Cars Vent Integrated Digital Gauge is like a swiss army knife that provides all kinds of performance data on the MK6 GTI/Golf R. This digital gauge was engineered and designed to fit in the air vent of the MK6 GTI/Golf R while maintaining the functionality of the air vent for a clean and sleek look. This way, the P3 Cars Vent Gauge looks like it came from the factory as the display matches the color of the factory gauges. Installation is a simple plug and play installation that plugs in directly to the OBDII port of your GTI/Golf R for accurate and real-time readings at all times. 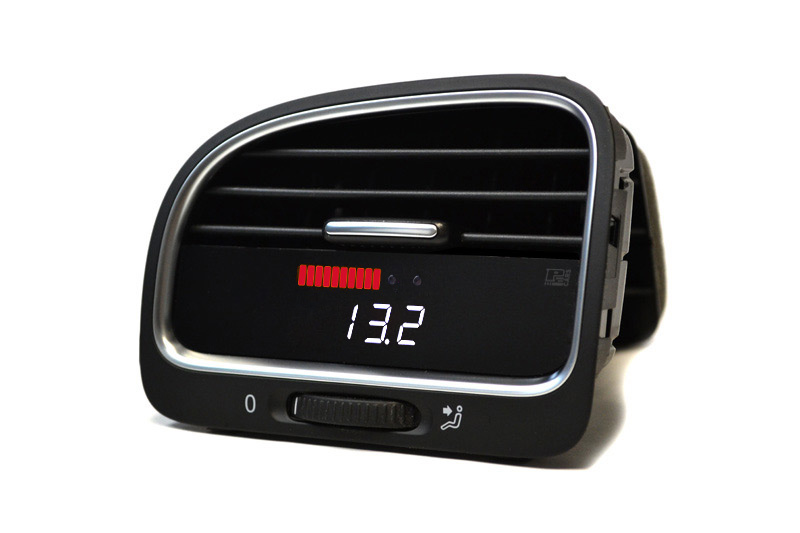 For the easiest installation, the P3 Cars Vent Integrated Digital Gauge for MK6 VW GTI/Golf R is available already installed in an OEM vent, so all you have to do is take out your old vent, and install the new vent with the P3 gauge already installed. Talk to our Chevrolet Modification Experts today- call us at 714-582-3330 or chat online at ModBargains.com!